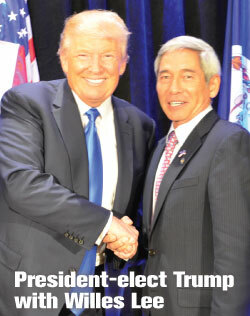 Honolulu, Hawaii -- HIRA National Director Willes Lee, who is also the National Federation of Republican Assemblies (NFRA) President, has been a Defender of Freedom his entire life. Lee was recently named to the Trump-Pence Second Amendment Coalition. An Endowment member of the National Rifle Association of America (NRA) and member of the Hawaii Rifle Association (HRA) and Virginia Sports Shooting Association, Willes K. Lee made history as the first from Hawaii on the NRA's ballot by petition. The NRA Board and leadership, led by President Allan Cors and Executive Vice President Wayne LaPierre, oversees the NRA's overall direction. Previous 'firsts' include Hawaii's first to serve on an NRA committee (2014-'15 Urban Affairs Committee), first to serve on the Military and Veterans Affairs Committee under the leadership of LtCol Oliver North (2015-'16), first nominated by the NRA Nominating Committee (2016), and first to serve on two committees (2016-'17 Military and Veterans Affairs Committee and Outreach Committee with Sheriff David Clarke). Lee was informed that he is "nominated by petition of the membership for election to the National Rifle Association Board of Directors," for his exemplary work as a tireless protector of Second Amendment rights. "I'm honored and humbled to be nominated. I'll continue the valuable tradition of the NRA and will continue to elect legislators to secure our Second Amendment rights," Lee stated. 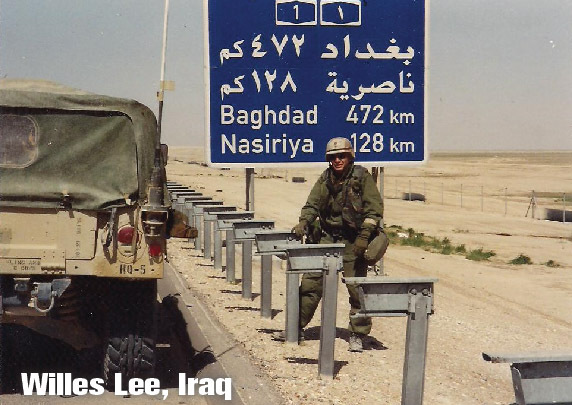 The married father of two grown daughters, Lee is a retired U.S. Army officer having served our nation as a Defender of Freedom for twenty-two years as an Airborne-Ranger Armor officer following graduation from West Point. Lee's service includes five years with the Joint Chiefs of Staff in the Pentagon. He is a recipient of the Defense Superior Service Medal for contributions to national operations, the Bronze Star Medal for Desert Storm combat performance with the 24th Infantry Division, and the Legion of Merit for combating terrorism in Europe. Lee is a lifetime Veterans of Foreign Wars (VFW) member. Willes served six years as Hawaii State Boxing Commission Chairman, and on the board of Lutheran HS of Hawaii. He's run five marathons, is an age-group 800 meter run state champion, and has more than 250 SCUBA dives. For many years, Lee has worked closely with the Hawaii Rifle Association to protect member rights, fight anti-gun bills and help passage of pro-gun legislation. Lee has worked to elect pro-gun legislators and participated in range visits by state and local government officials. Willes has worked with Hawaii's gun community to promote the shooting sports and to strengthen youth shooting opportunities. 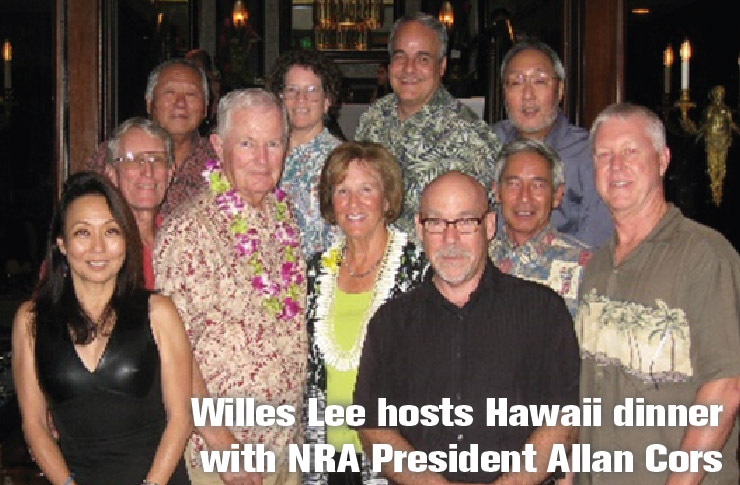 Indeed, Lee has been fully responsible for Hawaii visits by NRA Presidents David Keane, Jim Porter, and Allan Cors to headline Hawaii events, including our FNRA Banquets which support and enhance youth shooting, safety and education. In presenting the endorsement of the Hawaii Rifle Association, HRA President Harvey Gerwig called Lee "a man who will energetically and enthusiastically represent the NRA and its goals." 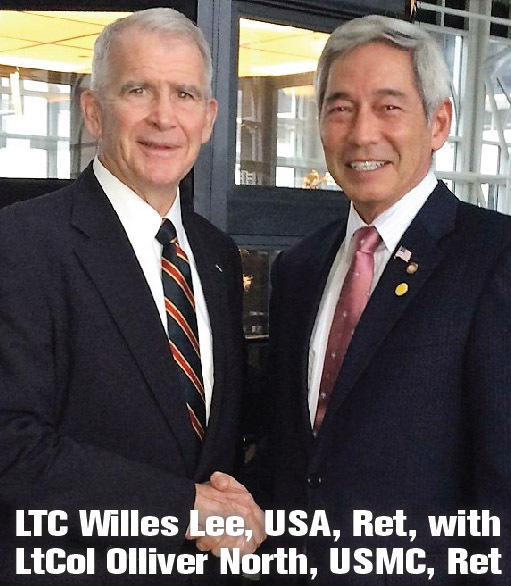 LtCol North wrote to the nominating committee "No one, self- included, is more deserving of a seat on our Board of Directors than Willes Lee" and "Lieutenant Colonel Willes Lee has my highest commendation for a seat on our Board of Directors". If elected to the NRA board, the wide-ranging wealth of experience Lee brings to the table is formidable. Lee's primary focus is on political action from coast to coast; through the election of pro-gun candidates at all levels of government, while working to defeat local, state and national anti-gun legislation. Lee says "It is our time to go on the offensive to secure our Second Amendment rights and to take back the liberties stolen by anti-gun progressives the past eight years". Lee is also a member of Gun Owners of America, the Second Amendment Foundation, and the Virginia Shooting Sports Association. 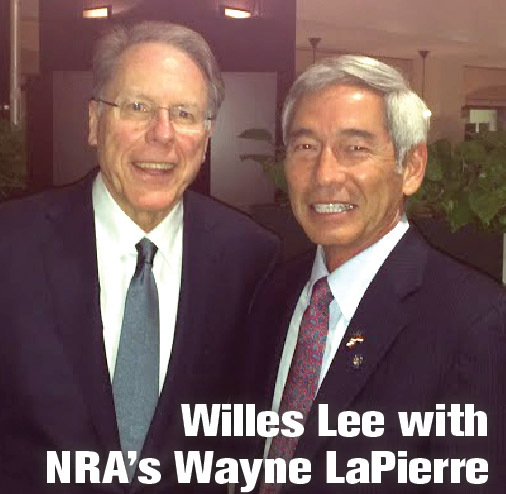 Lee's past roles as a member of the Republican National Committee (RNC) and as Chairman of the Hawaii Republican Party make him comfortable and adept in political circles to advance the interests of gun owners while fighting legislative attempts to undermine our rights. 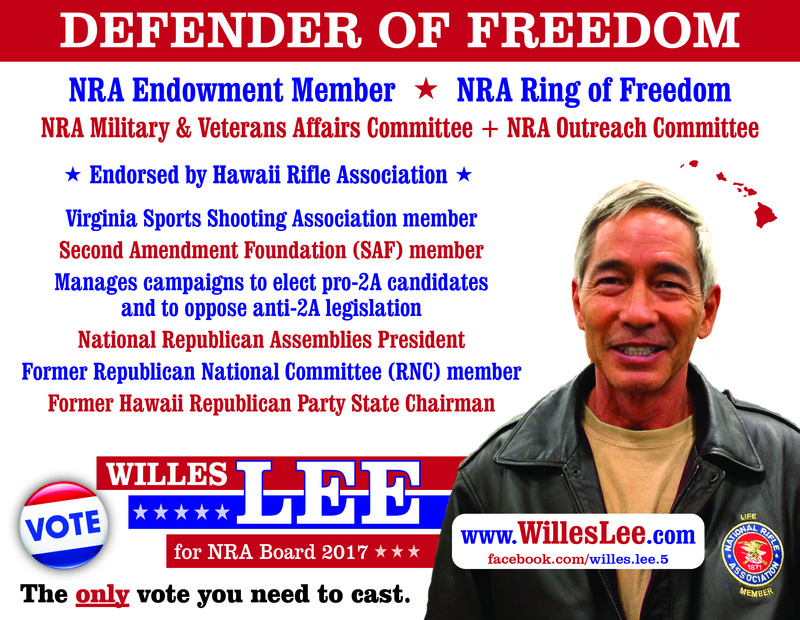 Presently, Lee advocates Second Amendment rights as President of the National Federation of Republican Assemblies (NFRA) and National Director of the Hawaii Republican Assembly (HIRA). He is also a Director for the American Conservative Union (ACU) Foundation which hosts the annual, high profile CPAC conferences and Council for National Policy (CNP) member. Willes K. Lee looks forward to supporting the NRA's advocacy of our constitutional right to bear arms throughout all fifty states.